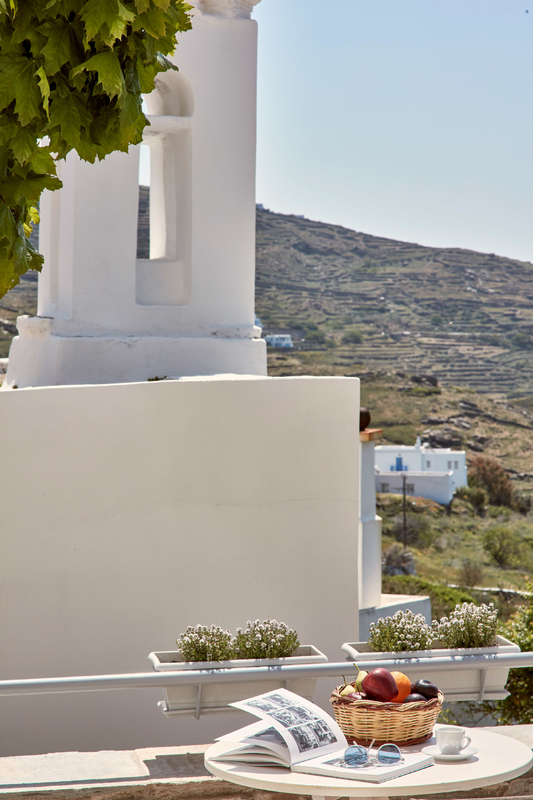 Tripotamos traditional village has three rivers which, silently running underneath the village’s tissue. 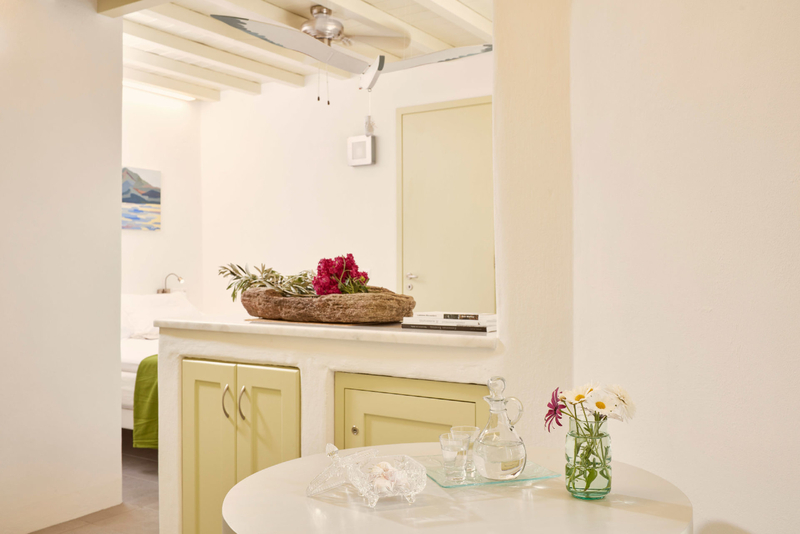 Small springs appear almost in every crossroad of the labyrinthine tissue of the village, where the leisurely paces of the villagers converge. 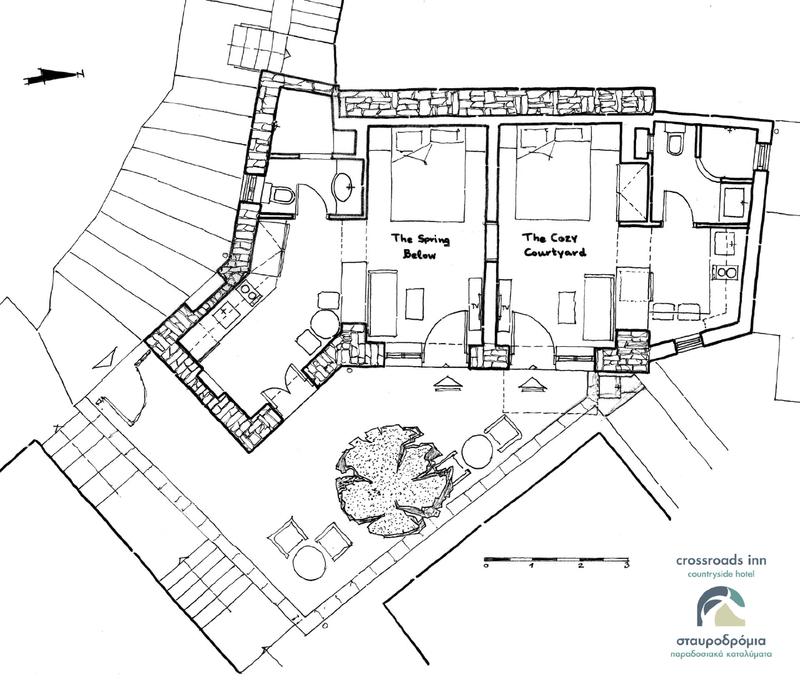 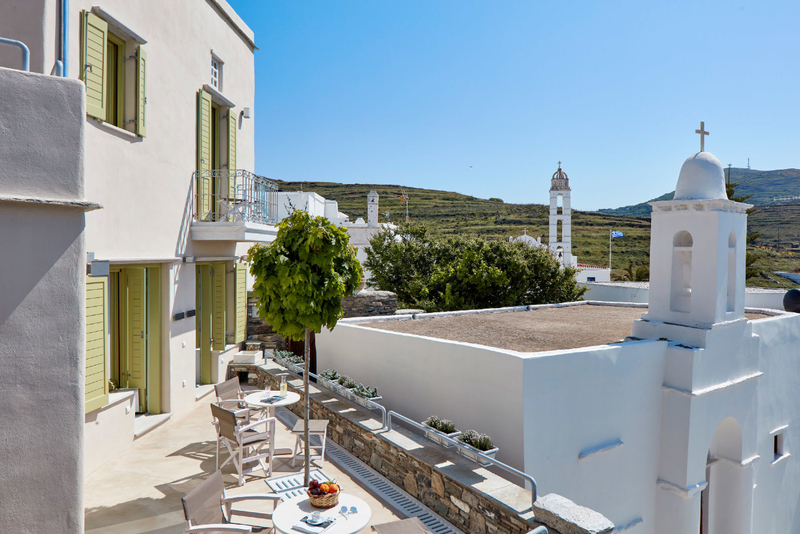 Our countryside boutique hotel’s building is on a crossroad, overlooking such a small spring. 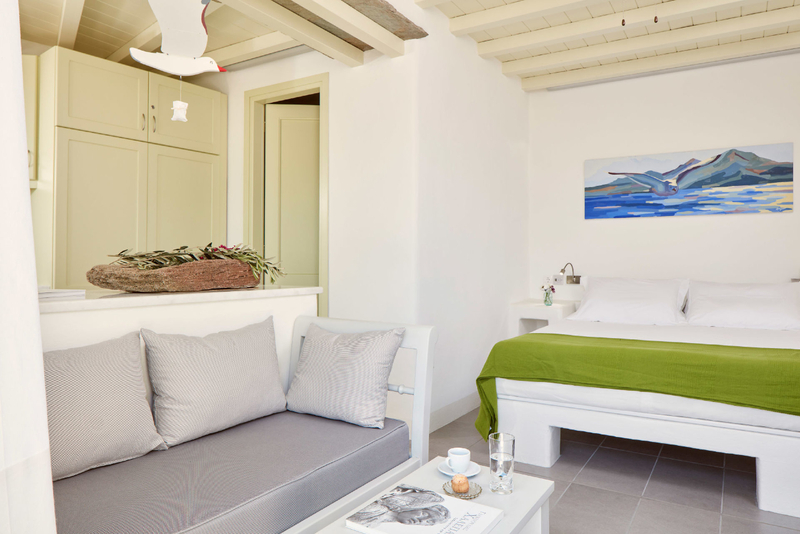 The Spring Below is one of our latest accommodation type, integrated to our hotel on 2017. 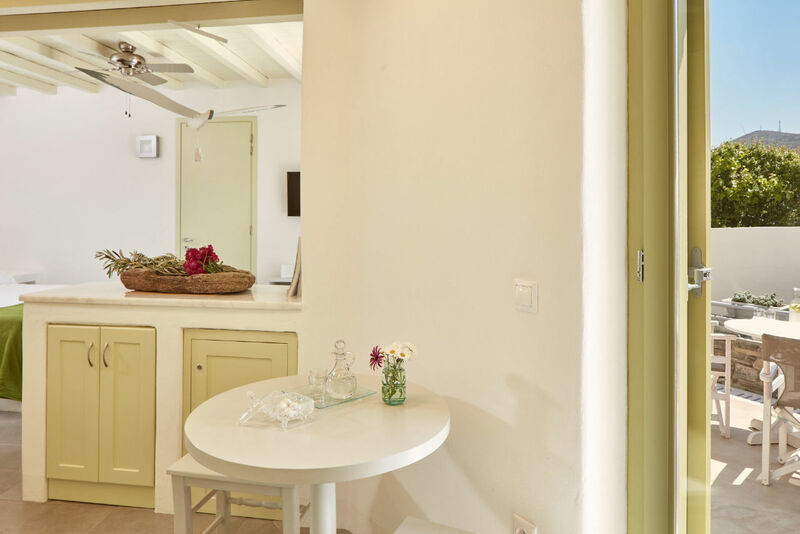 The Spring Below [Kato Nero/Káto Neró] (36 m2) is a relaxing double studio, which has a uniform space serving as a bedroom, with a built, double bed, and a sitting-dining room arrangement, with a fully-equipped kitchen. 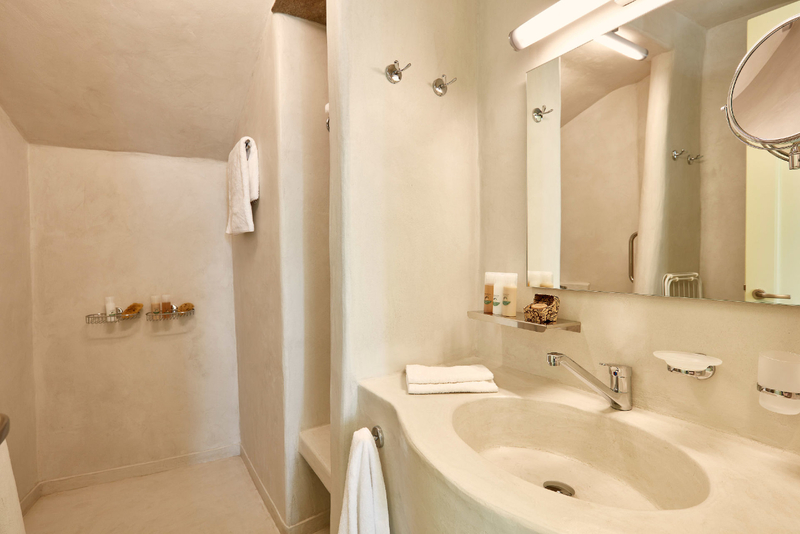 The bathroom includes a shower and all the necessary accessories and toiletries. 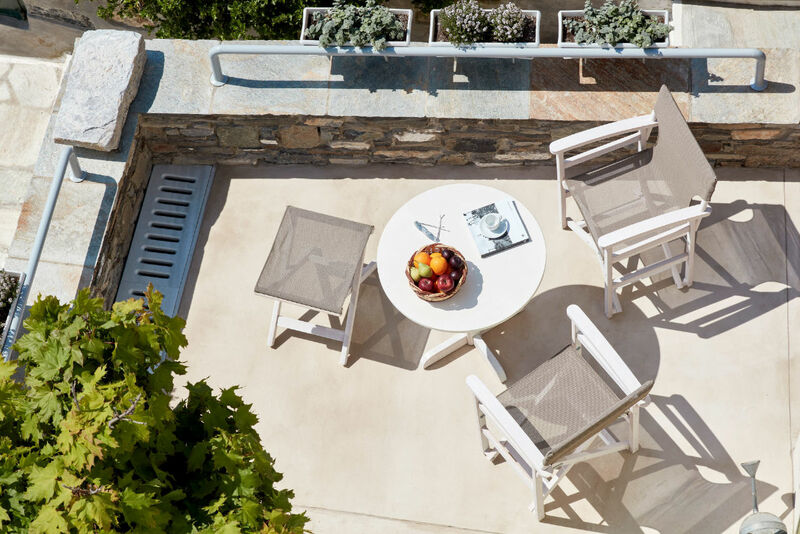 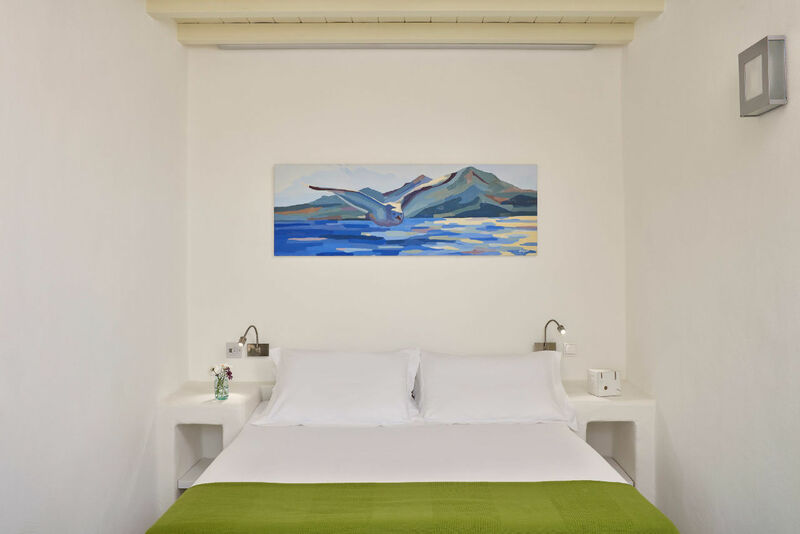 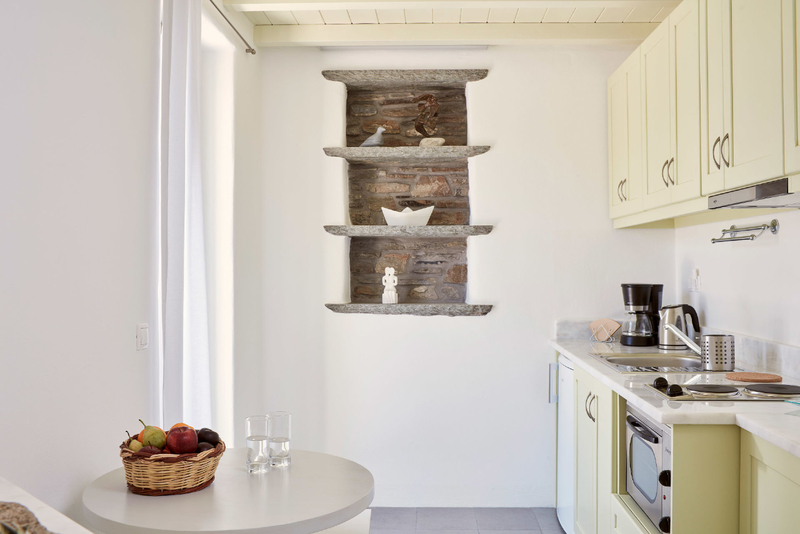 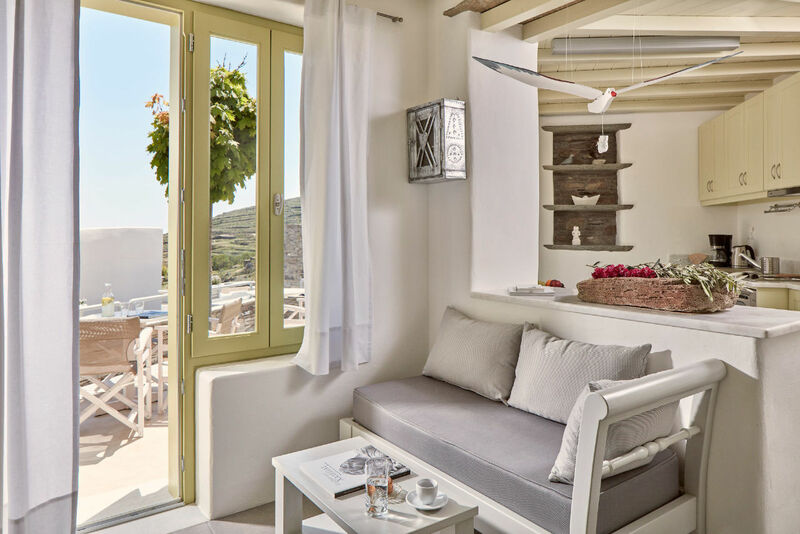 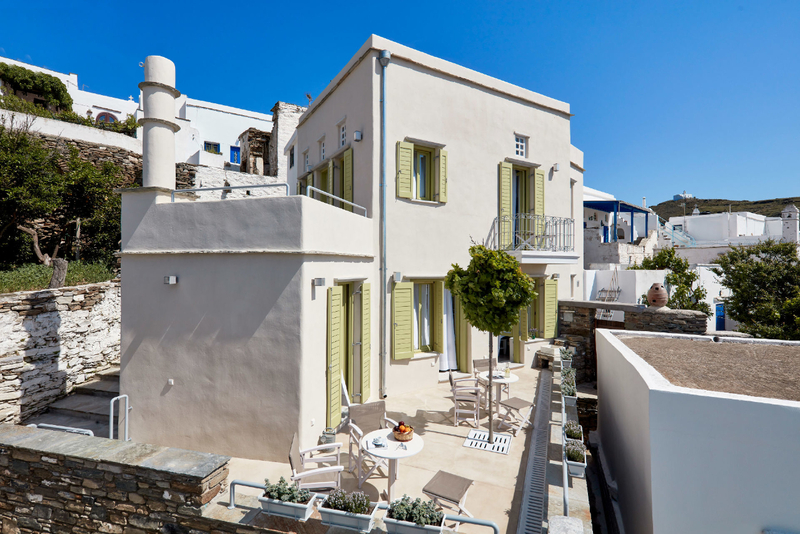 The Spring Below relaxing studio becomes complete with a shared, traditional Cycladic, open-air courtyard, overlooking the Aegean Sea, the island of Delos, and the village’s surrounding vistas (17 m2).